Save AED 19 (54.29%) – Earn 2 Shukrans What is Shukran? Shukran is the Landmark Group’s award-winning loyalty programme in the Middle East, which allows you to earn Shukrans when you shop any of our brands. 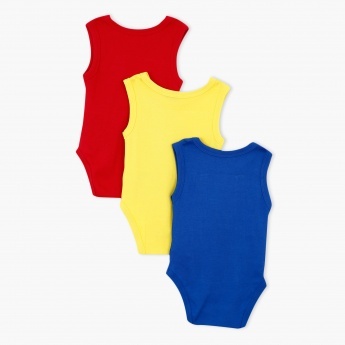 Pick this set of three printed bodysuits to an infant and lend him an adorable look. Convenient to fit in, it has press button closures and every sleeveless piece has a round neck and is made from a soft material.